Astrologers have long stereotyped Jupiter as representative of positivity and virtue with no exceptions. I've tended to view this idea with vague suspicion, but have now amassed a large body of evidence to support my unease. Jupiter is a great malefic when in a discordant aspect with Pallas. When in such an aspect, he interferes with the ethical, non-aggressive nature of Pallas and opens the door to tyrannical and violent behavior. There is no shortage of examples. Here are four notable ones. 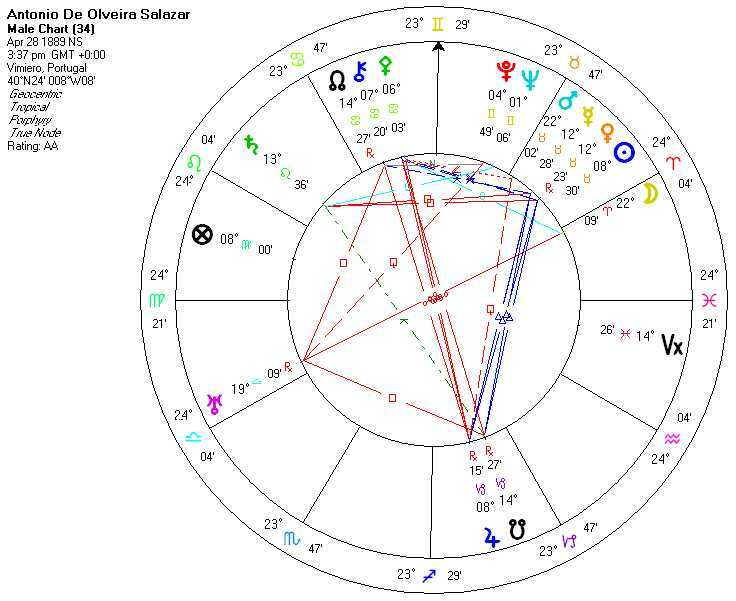 Adolf Hitler has Pallas opposite Jupiter, quindecile South Node, ruled by Moon (which is quincunx Pluto and conjunct/parallel South Node), and sextile Sun. 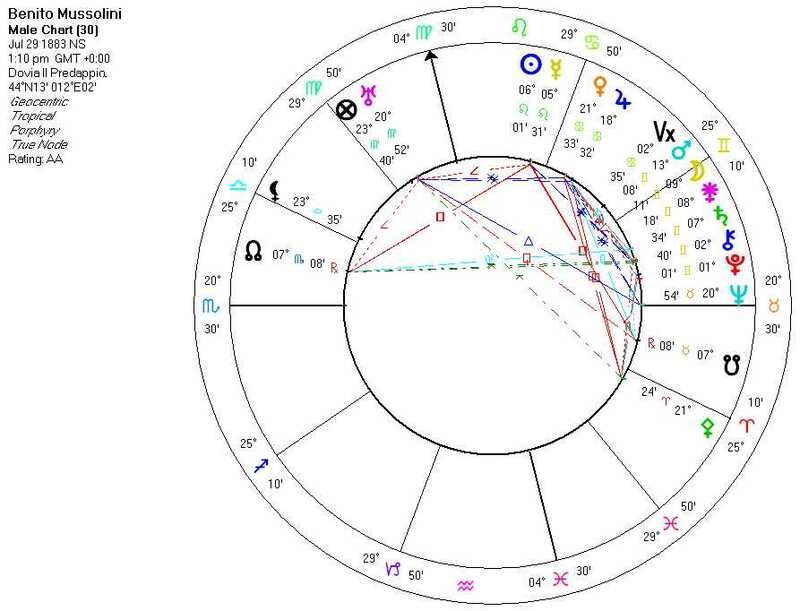 Benito Mussolini has Pallas square Jupiter and novile Pluto. 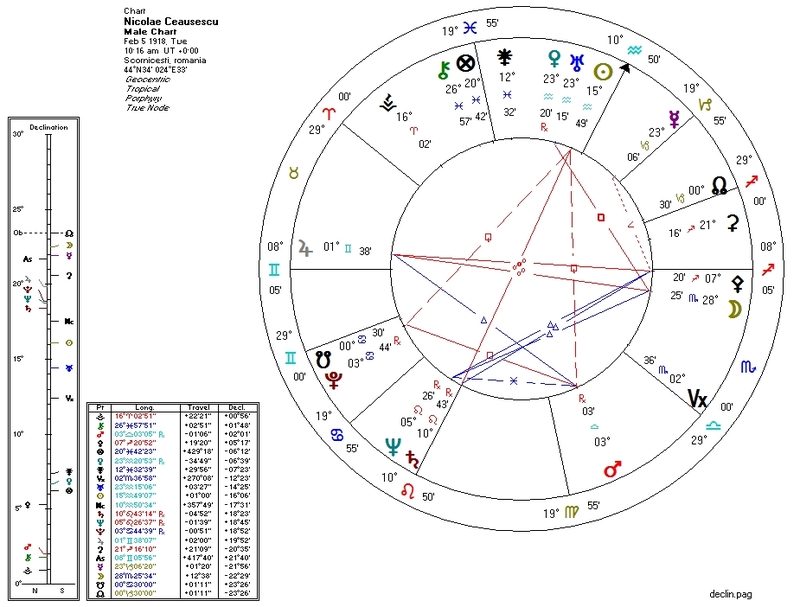 Nicolae Ceausescu has Pallas opposite and ruled by Jupiter (which is parallel Pluto) and semisquare Mercury. 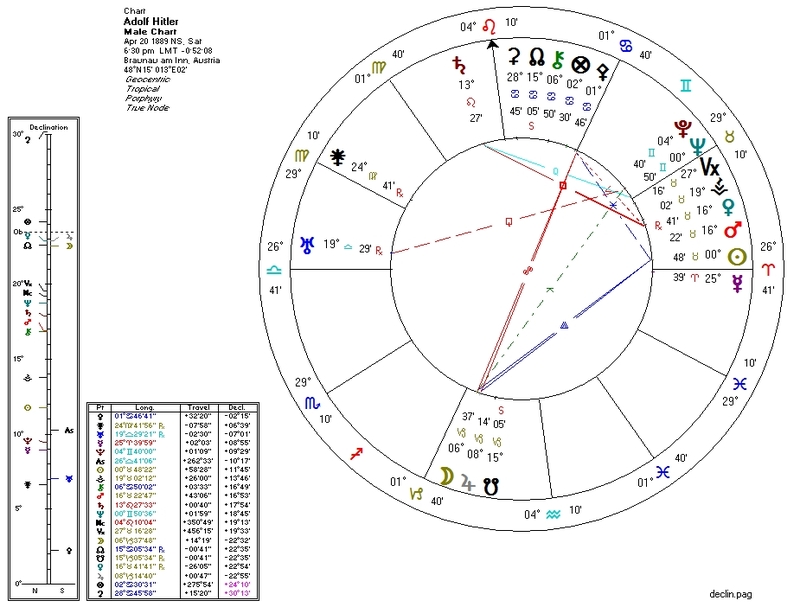 Antonio Salazar has Pallas opposite Jupiter, sextile Sun, and widely conjunct the North Node. The effect of hard aspects from Jupiter on Pallas is similar to the effect from Pluto. The Jupiter aspects seem to be less homicidal than the Pluto aspects but harder to counteract by other factors. Pallas-Jupiter aspects, discordant or otherwise, may correlate with talent in publicity and teaching. As mentioned before, most natives with these aspects will not fulfill their destructive potential and can peacefully coexist with others.